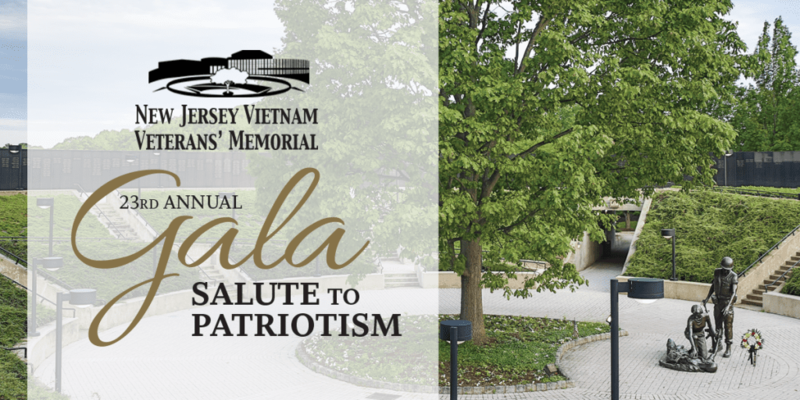 The New Jersey Vietnam Veterans’ Memorial Foundation’s Annual Salute to Patriotism Gala will celebrate the 23rd anniversary of the Memorial. The reception, dinner and program will begin at 5:30 p.m. on Thursday, April 4th at the Eagle Oaks Golf and Country Club in Farmingdale, NJ. The Gala will feature an open bar, hors d’oeuvres, dinner, silent auction and live music. Dress is business attire. Tickets are $225 for individuals and $450 for couples. Tickets will be available starting in February. Sponsorship opportunities are available. For more information, visit our Sponsorship page.